Gross Rent Multiplier: Calculates the market value of the property. Cash On Cash Return: Measures the return on cash invested. Profitability Index: Measures the cost-benefit for the property investment. Internal Rate Of Return: Measures the financial efficiency and desirability of the investment property. Debt Coverage Ratio: Finds out whether the property generates enough money to cover the debt. Cash Break Even Ratio: Estimates how vulnerable a property is to defaulting on its debt should rental income decline. Loan-to-value Ratio: Calculates the ratio between the loan balance and the market value of a property expressed as a percentage. 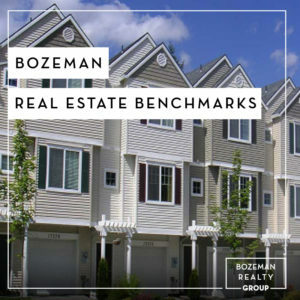 Capitalization Rate: Measures the earning ability of an income-producing property. Net Cash Flow: Calculates the net cash flow of the property after expenses. Gross Rent Multiplier (GRM) is the ratio of the price of a real estate investment to its annual rental income before accounting for expenses such as property taxes, insurance, and utilities; GRM is the number of years the property would take to pay for itself in gross received rent. For a prospective real estate investor, a lower GRM represents a better opportunity. Today, it is quite common for GRM to be quoted by real estate professionals using annual rents rather than monthly rents. A 100 GRM (monthly rents) = 8.33 GRM (annual rents). An 8.33 GRM calculated on annual rents suggests the gross rent will pay for the property in 8.33 years. Cash On Cash Return is the ratio of annual before-tax cash flow to the total amount of cash invested, expressed as a percentage. Cash On Cash Return is often used to evaluate the cash flow from income-producing assets. Generally considered a quick napkin test to determine if the asset qualifies for further review and analysis. Cash on Cash analyses are generally used by investors looking for properties where cash flow is paramount, however, some use it to determine if a property is undervalued, indicating instant equity in a property. If debt(mortgage) was used to purchase the asset, debt service payments and principal payments are required. Cash On Cash Return is calculated by dividing the NOI(Net Operating Income) after all mortgage payment expenses were deducted from it, by the total cash invested. Assuming that the cash flow calculated does not include the investment made in the project, a profitability index of 1 indicates breakeven. Any value lower than one would indicate that the project’s present value (PV) is less than the initial investment. As the value of the profitability index increases, so does the financial attractiveness of the proposed project. The internal rate of return (IRR) is a method of calculating rate of return. The term internal refers to the fact that its calculation does not involve external factors, such as inflation or the cost of capital. It is also called the discounted cash flow rate of return (DCFROR). In the context of savings and loans, the IRR is also called the effective interest rate. The internal rate of return on an investment or project is the “annualized effective compounded return rate” or rate of return that sets the net present value of all cash flows (both positive and negative) from the investment equal to zero. The debt coverage ratio (DCR), also known as debt service coverage ratio (DSCR), is the ratio of cash available for debt servicing to interest, principal and lease payments. It is a popular benchmark used in the measurement of an entity’s (person or corporation) ability to produce enough cash to cover its debt (including lease) payments. The higher this ratio is, the easier it is to obtain a loan. The phrase is also used in commercial banking and may be expressed as a minimum ratio that is acceptable to a lender; it may be a loan condition. A Debt Coverage Ratio below 1.0 indicates that there is not enough cash flow to cover loan payments. The cash break even ratio is used in evaluating the financial performance of an income property to determine what rate of occupancy is required to meet both operating expense and mortgage payments (debt service). The loan-to-value (LTV) ratio is a financial term used by lenders to express the ratio of a loan to the value of an asset purchased. The term is commonly used by banks and building societies to represent the ratio of the first mortgage line as a percentage of the total appraised value of real property. The Capitalization Rate is often calculated as the ratio between the net operating income produced by an asset and the original capital cost (the price paid to buy the asset) or alternatively its current market value. A necessary task in analyzing an income producing property is determining the before tax net cash flow. When you know the net cash flow, you can figure your return on your investment, calculate the tax shelter, and evaluate the investment in other ways. The following table provides a point of reference about typical accept/reject benchmarking settings for each indicator.